Description: We can help you get your life back! We’re situated in Cape Town and have been in operation since 1985 as a private psychiatric and addiction treatment centre. Open, honest relationships in a safe and warm environment that is respectful are the foundations on which our services are built. We have a culture of learning and are always looking for better ways to treat those who come to us for guidance and healing. Our addiction recovery treatment is effective yet efficient. We are driven by results that end the agony and suffering forever. Addiction recovery and the restoring of life and happiness is all that matters to us. Every addiction patient is as unique as his or her thumbprint. Almost 30 years of experience has taught us that a ‘one-size-fits-all’ approach will not get effective, lasting results. It simply does not work! What people use, how they use, why they use, with whom they use, what support they have, what their home circumstances are, their ages and genders, how motivated they are; all these factors are crucial to how we apply our skills and resources in solving their problems and the problems of those around them. The realities and needs of individuals are carefully considered BEFORE their plans are drawn up and implemented. Using this flexible, responsible and results-driven approach, our professional team and network of associates have to date helped restore the lives of over 4000 patients and their families. 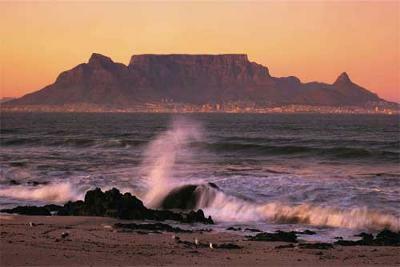 Kenilworth Clinic, Cape Town, South Africa is famous for sandy beaches and great sun rise spot. I visited this place so many times when ever I visit South Africa. The near by hills serve as great spots for sun rise. I enjoyed the show very much. Yes I need my husband’s life back. I heard a lot about you people. Please help what I must do to get back to our loved days. He is now addicted to the Alcohol due to the death of his uncle.